Finally after about a month grinding with rewards and trading, (Stopped buying Fifa ponts starting in the new year) I upgraded my Messi to TOTY. For the folks that told me it was gong to be worth it, they were 100% correct. His physical upgrade in itself makes him just unstoppable. I am siting on 20,000 coins, so no major upgrades in the near future. Guys, this or prime Petit and 91 Matthaus as midfield duo? 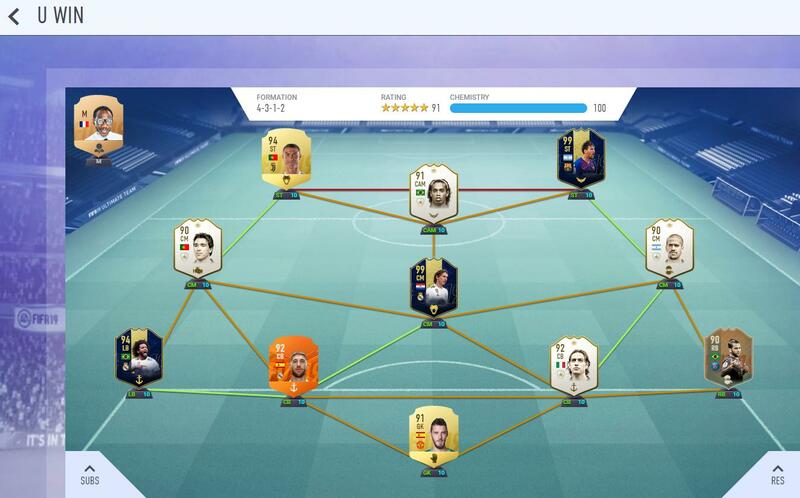 Everyone on 10 chem except either Nedved or Hazard (7 or 8 respectively) depending on who starts LW. I think I may struggle defensively with Nedved and Ballack? I would say having Petit and Matthaus would be more balanced, Ballack would have a lot to do in that team. Would still be class tho, plenty options going forward! 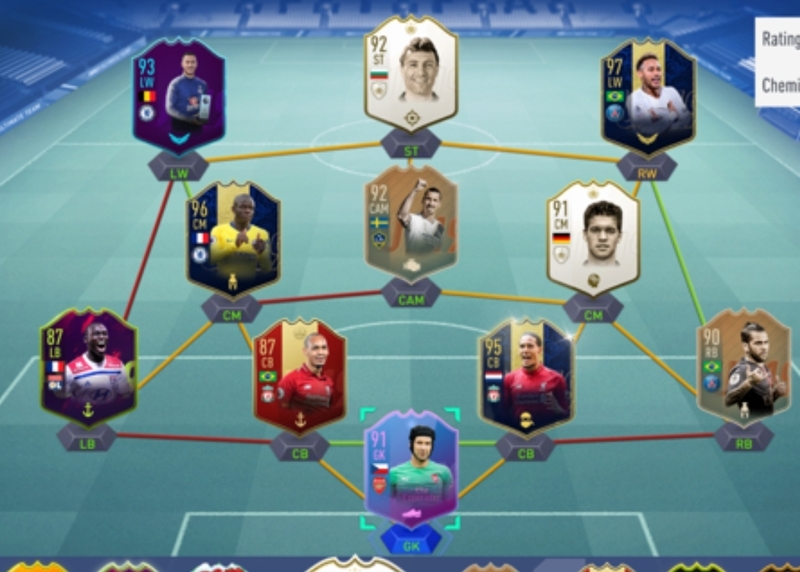 I'm thinking about selling 89 Sandro and Aurier, then using the normal Sandro and my red 86 Carvajal. I'd then use the funds and Sol Campbell to do Prime Figo. Anyone think it's worth it, or keep as is? Have 300k now, want to see what SBC, want to switch teams. I'll see what I can stretch to after rewards. Have you used Cech yet? 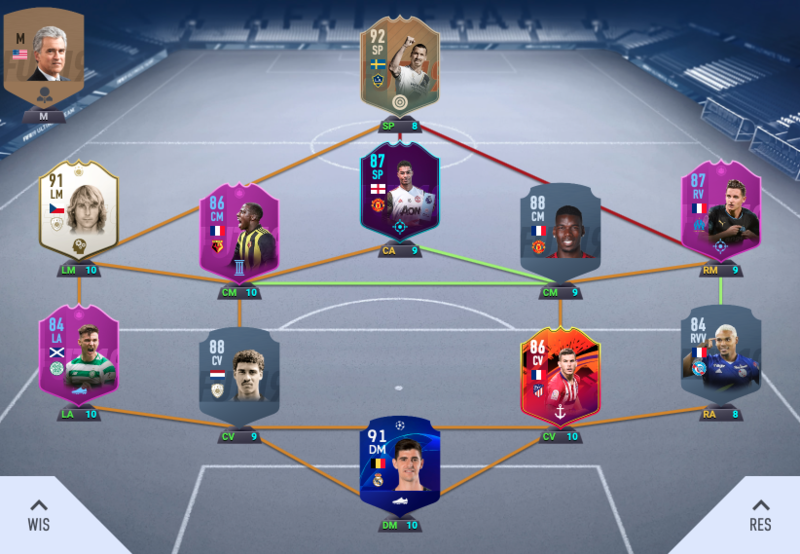 Maybe save up for ToTY Mbappe? Using this atm. 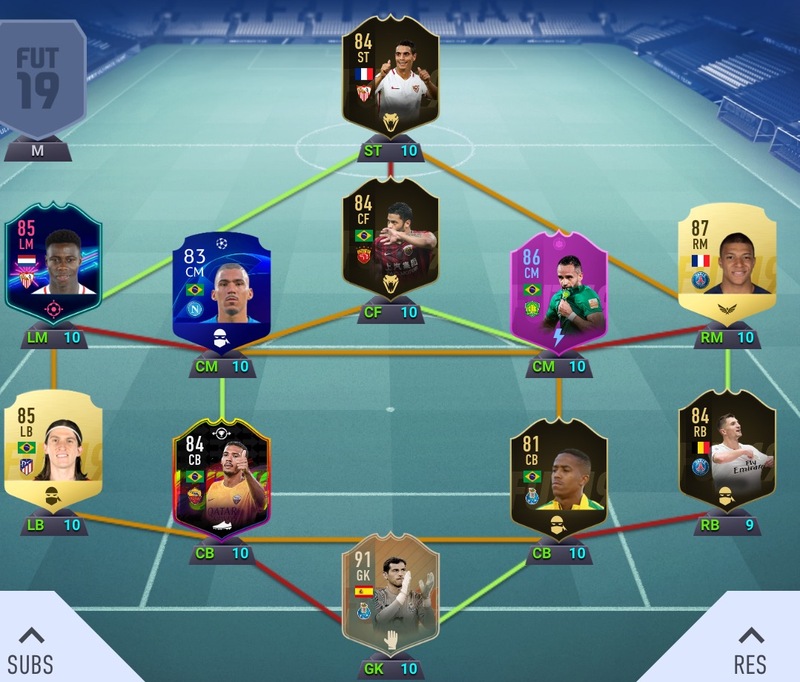 Lozano is good but not Mbappe who I had been using there. Dumfries is the man. Donnarumma isn’t cutting it so far. Sold *sub-prime* Lamps to fund Varane. Will either buy him back or buy a different Icon after rewards for Fernandinho to get Ibra back in. But we lookin good lads. Edit: that’s the wrong formation, sorry I play 433 (4) but you get the gist. Can play either 433(4) as shown, or switch to 4231(2) wide. Works very well! 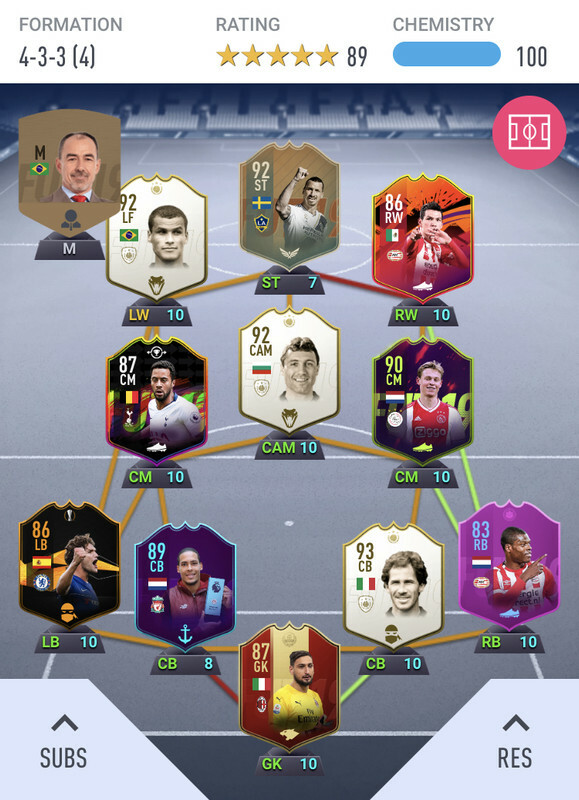 All untradeable except Cruyff. 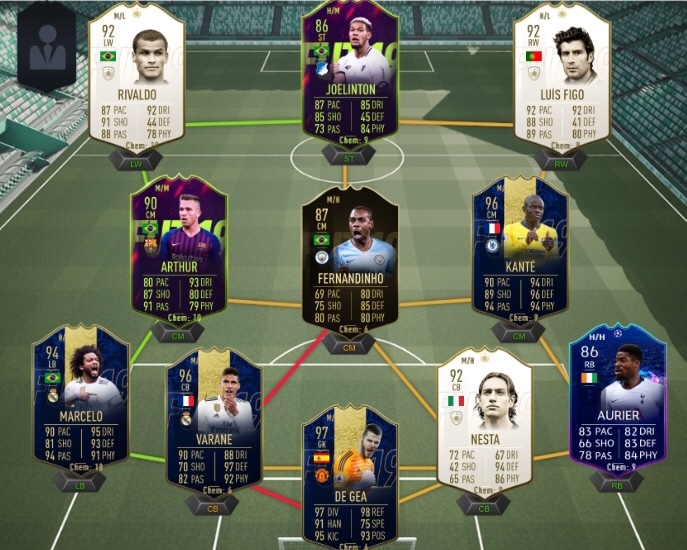 Does Ronaldo need a chem style and which is best if so. 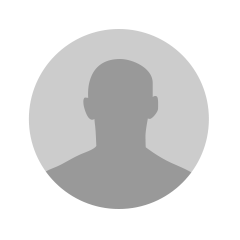 How is casemiro for you? **** me... I’m literally 70k off TOTY De Gea and just got a temp market ban for listing up too many players. Yeah going to hop on there to finish listing up my players. I shall not be denied. 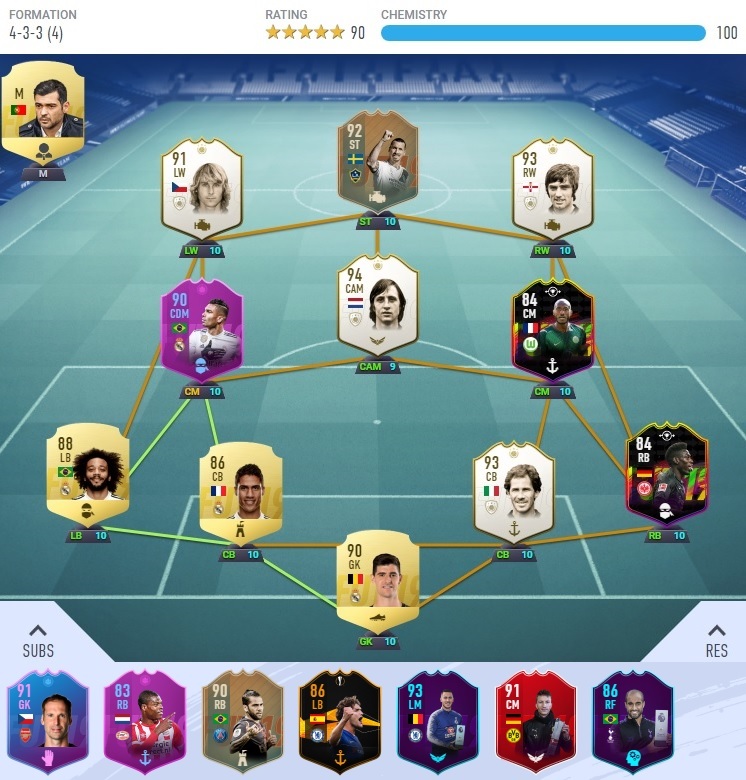 worth selling Mid Eusebio (getting bored playing with him) for SIF Mbappe and Prime Petit? 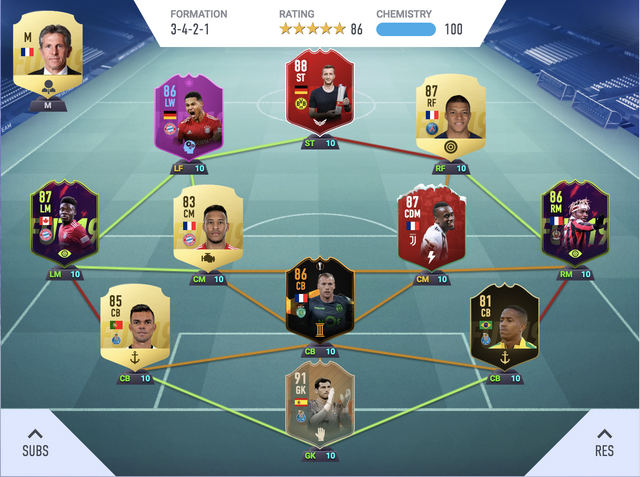 Also, is SIF Mbappe worth the price ATM? 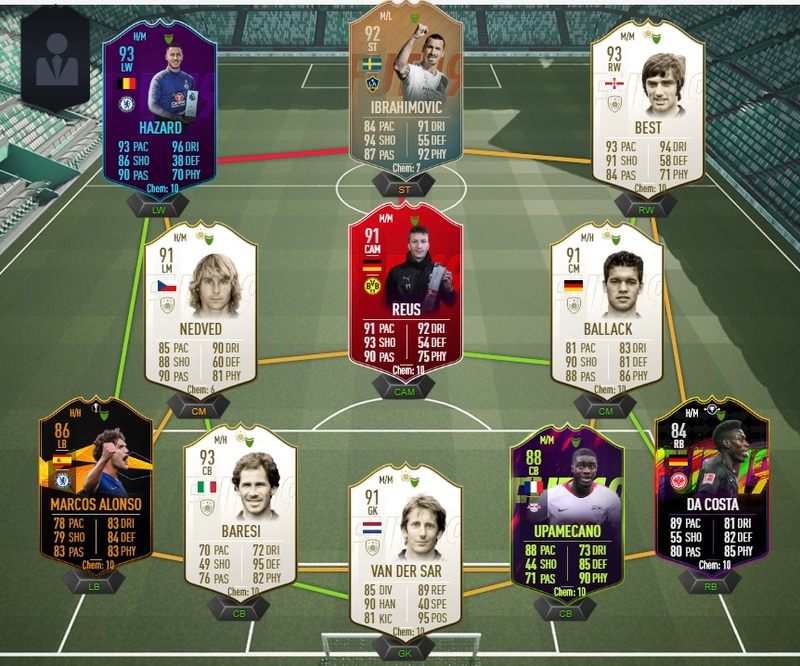 I just realized something in hindsight, shouldn’t have done the Nesta SBC, should have just bought Prime Hierro or Puyol so that De Gea would be on 10 chem. But +1 handling isn’t the end of the world I guess. Excellent mate, I've been pleasantly surprised by how good a CDM he is, considering his [lack of] pace.